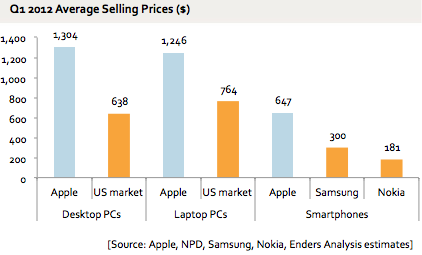 Apple tends to sell at around double the average price for the industry. Naturally, a PC or phone with the same specs as an Apple product will cost around the same - but Apple stays in the high end while others don’t. Pondering the implications of this for the TV business. Can Apple sell a TV for double the average price? What would it have to do? Whose permission would it need?